Vinyl / Luxury Vinyl Flooring | PriceCo Floors, Inc. The new generation of vinyl floors have new finishes, different construction and new types of backing. They are designed for better wear, clearer pattern definition, and easier installation and maintenance. Manufacturers have gone primarily to cushioned products with wider widths to reduce the number of seams. New innovations in backing have made the today’s cushion vinyl floors more resistant to rips, tears and back staining. Most residential sheet flooring offer no-wax performance and a wide variety of colors and patterns–more than any other flooring product and generally speaking, cushion vinyl flooring is the most economical of all flooring choices. 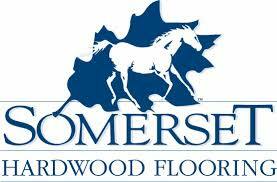 Next to ceramic tile, vinyl flooring installation demands a properly prepared subfloor. Most cushion vinyl products are thin and, when installed with a full spread of adhesive over a poorly prepared subfloor, irregularities can come through. New products designed for perimeter or loose lay installation will greatly reduce the effects of subfloor irregularities while lowering subfloor preparation costs. In fact, many of these products can be installed over you existing flooring. Visit our showroom or schedule an in home estimate and we will assist you in making the best decision for your flooring needs today.